Our goal is to provide a space for local talent and to do our part to contribute to and encourage Sacramento’s growing art scene. Join us for second Saturdays and our monthly gallery events. We are currently looking for new artists to join us! 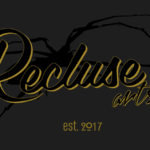 Please contact us at contact@reclusearts.org!